A classic silhouette with cute strappy details and 3/4 length sleeves! 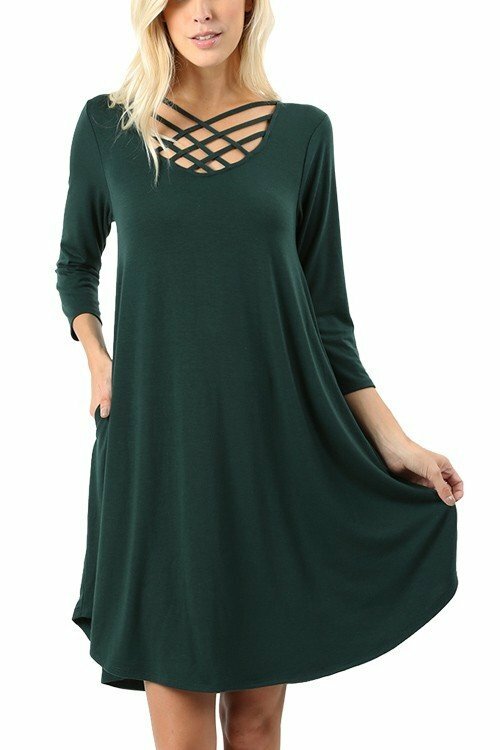 Great for layering under cardigans or over leggings! Easily size down.